The gray fox is the only canine in the western hemisphere that can climb trees. Thanks to sharp, hooked claws it can also jump from branch to branch. But with bobcats, coyotes and dogs as predators it must remain watchful. Distinguished by a prominent black stripe on its back and tail, the gray fox has a grizzled gray coat with cinnamon-coloured areas on its neck, sides and legs. Males are slightly heavier than females, averaging 8-9 lbs (3.6–4 kg). This fox can be found in deciduous forests and marshes from southern Canada to northern South America. Gray foxes make their dens in rock outcrops, hollow trees, underground burrows dug by other animals or piles of brush. The gray fox has the most varied diet of any North American canid (dog family). Mammals, such as rabbits and small rodents make up a large part of their diet in winter. In late summer and fall, gray foxes also eat plants and fruits. 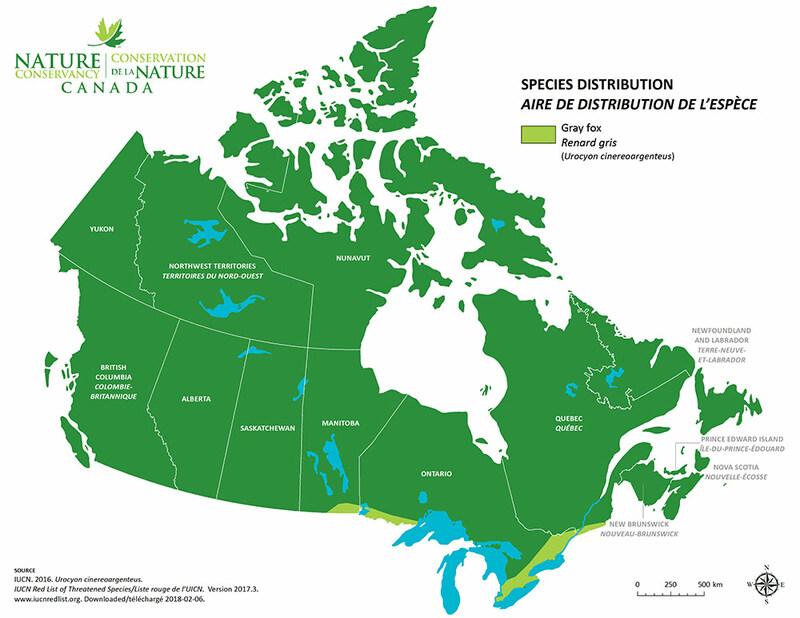 The Nature Conservancy of Canada (NCC) is working to protect natural spaces so that common and at-risk species alike have habitat in which to thrive. 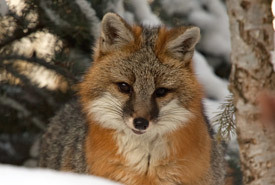 One such place is Middle Point Woods on Pelee Island where the gray fox has been spotted. NCC is working with researchers on the island to better understand the ecology of this elusive fox.